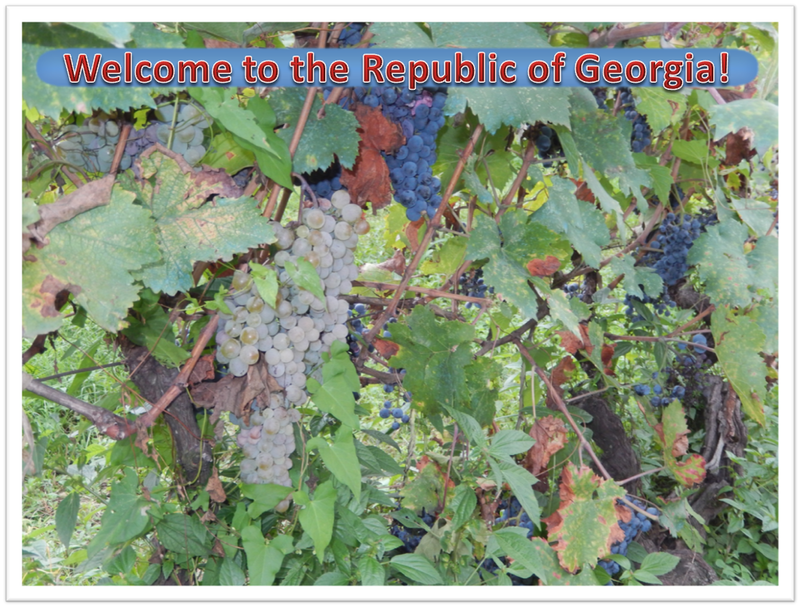 Welcome to the Republic of Georgia! : Ormotsi = a celebration of life 40 days after the death of a person inGeorgia. Ormotsi = a celebration of life 40 days after the death of a person inGeorgia. Ormotsi: meaning 40, as in 40 days after the passing of a loved one.. It is a big honor to be included in a supra, called ormotsi, in this case, and the honor came to me in 2008, when my sister-in-law's mom passed away. After the death, there is a week-long wake around the deceased, and this in her house, where she is on her bed, and visible to all who enter the bedroom. I had no desire to go in, since that was largely a foreign concept to me, and since I had just met the family, my place was certainly not there. So, for a week, the family and friends come in, and cry, sometimes very loudly, around their dearly departed. It is a form of mourning that is interesting in the way that the people, with their cries, really express themselves in a physical way, and this together. This form of unity in mourning really differs from what the Western world does. Then, a week later, the body is taken out of the house, accompanied by loud cries from the family and friends, and the casket is left open and placed on the shoulders of the carrying team, usually family members. In that case, her sons did. Then, the walking procession starts to the cemetery, still in a very vocal way. It was frankly heart-wrenching, but the family was so exhausted from crying, that they hardly seem to notice the world around. You will excuse the lack of pictures of this ordeal, of course, as I felt it totally inappropriate to take any. The casket is then closed, put in the ground, and an orthodox priest says a few words, incense is being burned, and then the soil is added to the hole. When filled, the children, grown and young, throw themselves on the mound and cry more. This display of affection was to me a great introduction to the meaning of family in Georgia. Family ties are incredibly strong, partially, I suppose, because they live together with older and younger generations. Always a grandma on hand, or a grandpa, and they absolutely adore their children and grandchildren, tell them so all day, and have physical contact, hugs and such very often. Coming from a civilization where you had to be "seen not heard", it was unreal to me.. So, the mound over the casket is not covered for a period of 40 days after the death. It allows the soul of the dead to rise up. The final stone is put on the 40th day, with a ceremony not unlike the burial itself, but more subdued..All the personal papers of the deceased, such as passport and ID papers, are also put into the casket, sealing the "forever" part of the death..ormotsi means 40, and therefore the celebration of life is called ormotsi, since it has been exactly 40 days. Imagine hundreds of people, literally, coming to eat at your place.. I was told we were 300, but not all at the same time..People come in and contribute, give a certain amount of money, knowing it will more than cover what they will eat..A person sits at a single table, and takes in the contribution, and the names and amount are written in a special book, used, no doubt, to thank people later. no flowers are brought. The amount of bread needed filled a room, there was stuff everywhere. It was awesome! and the feast was AMAZING! In order of appearance (I took notes.... :). Each line is one course..Keep in mind that it was during Lent, so most of the usual meat dishes had mushrooms instead..
and then, when they want the guests to leave, they serve chilaplavi, which is a rice dish, usually with mutton meat, but that day was mushroom). The guests then understand that it is the end of the meal..
-of course, all is served with copious amount of Georgian wines, mineral water and lemonade! Georgian ladies are very often dressed in black. They wear their loss with their clothes, and follow a very strict rule of mourning periods. It is counted in months and years for family members. Therefore, a lady can have several members of the family pass away when she is in her fifties, which means that she will dressed in black for years. Along with the black clothing, she will also restrain from an fun activities, such as going to a restaurant or on vacation...Too strict for the average French girl , I'm afraid, but I have an immense respect for these women who wear their sorrow..It gives you a sense of loss, however, that I am not sure I could endure day after day.